I love pasta! Capellini is very thin spaghetti sometimes called angel hair pasta. 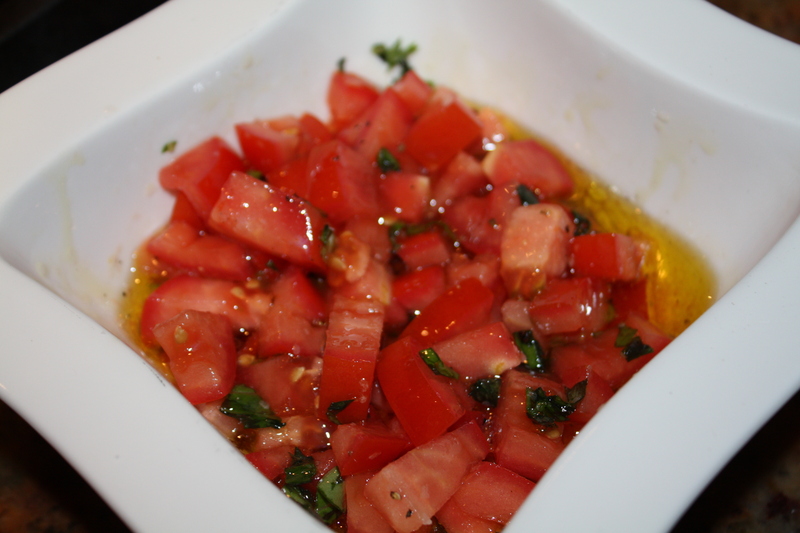 My favorite way to make it is short and simple; with olive oil, tomato, garlic and basil. Fresh, light and satisfying! May be served as a side dish or as a light meal. I also like to serve it cold from the fridge with salad. Yum! 1. In a medium sauce pan, bring water (about 6 cups) to a boil. Add generous pinch of salt and olive oil and start cooking capellini according to package instructions. 2. 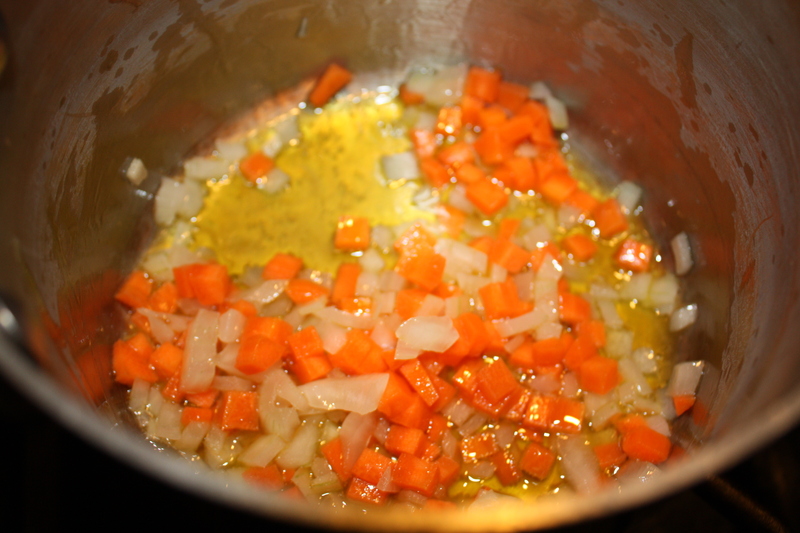 Meanwhile, in a large sauté pan, heat extra virgin olive oil (medium heat) and add minced garlic. Saute for about 2 minutes (do not brown). 3. 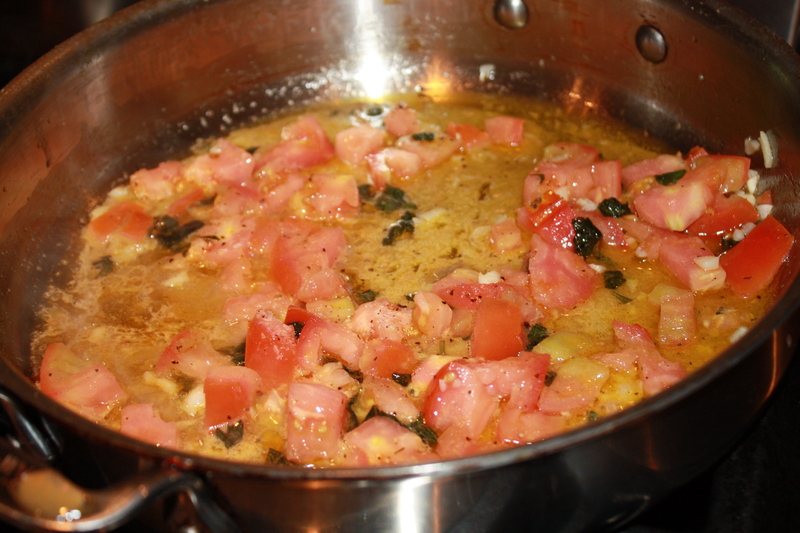 Add tomato, basil and salt and pepper. Saute for about 3 minutes. 4. Turn off the heat. 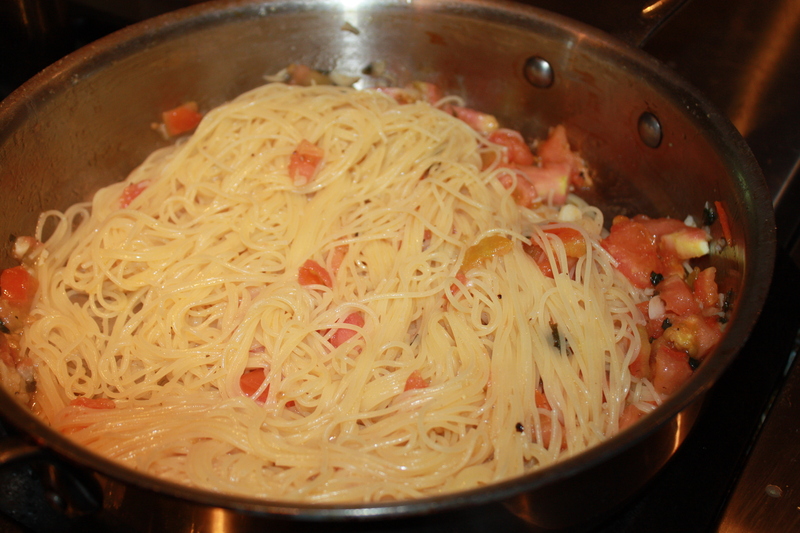 Add drained capellini to saute pan and stir until well mixed. Serve immediately or refrigerate for later. Marinara Sauce is mainly used for pasta, but it can also be used as the basis or complement for many other dishes like lasagna, vodka sauce, fried calamari and veal parmigiana among others. Since making fresh marinara sauce is so easy, you have no excuse to make it homemade every time! Many of you might think I am crazy, but give it a try. 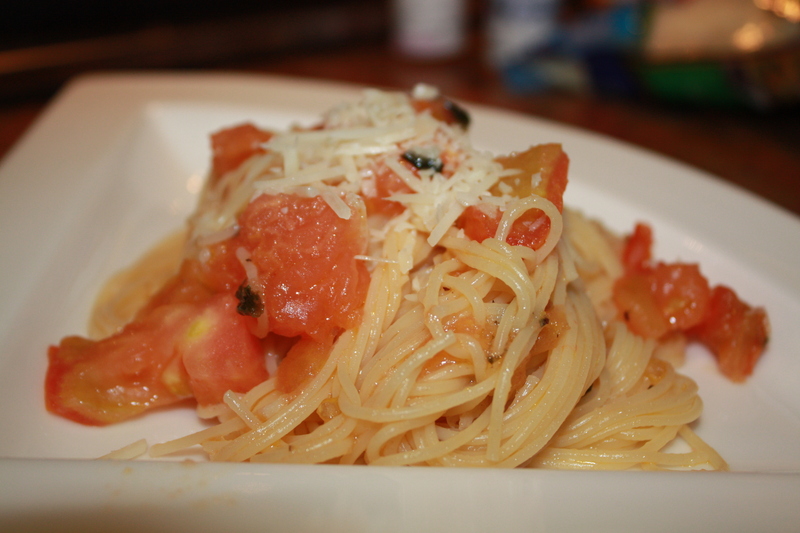 Its so light and tasty and fresh that I haven’t bought a commercial marinara sauce in years (well… maybe once. Ja!). 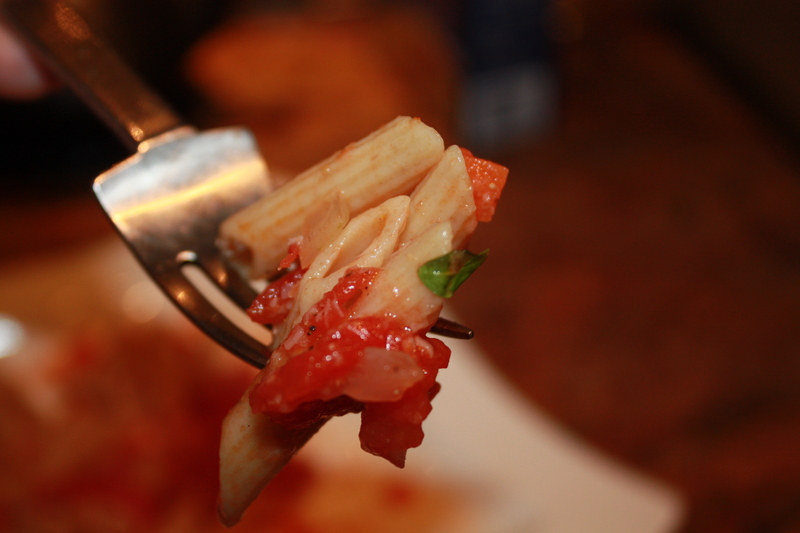 Marinara derives from the italian word “marinaio” which means from the sea or sailor. From what I have read, it was often served to sailors in Naples with pasta as a welcome back meal from fishing or travel. Of course this was after the Spaniards had introduced tomatoes to the European diet from the New World. 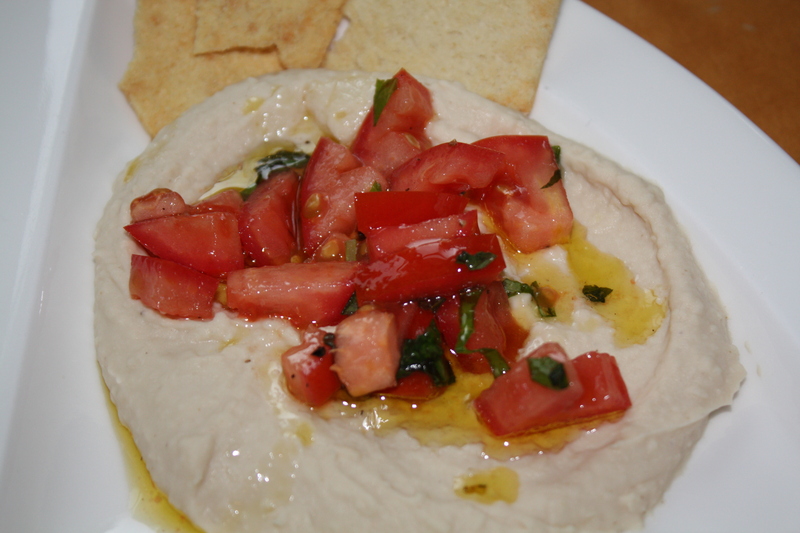 It does not necessarily include fruits of the sea, but you can serve with sauté shrimp or add anchovies if you like. Sometimes, I like to add a few pinches of red pepper flakes (peperoncino) to make the spicy sauce for penne all’arrabiata (my favorite!!!!). I always keep in my pantry canned whole peeled tomatoes so that I have at hand “in case of emergency”. They are so versatile! 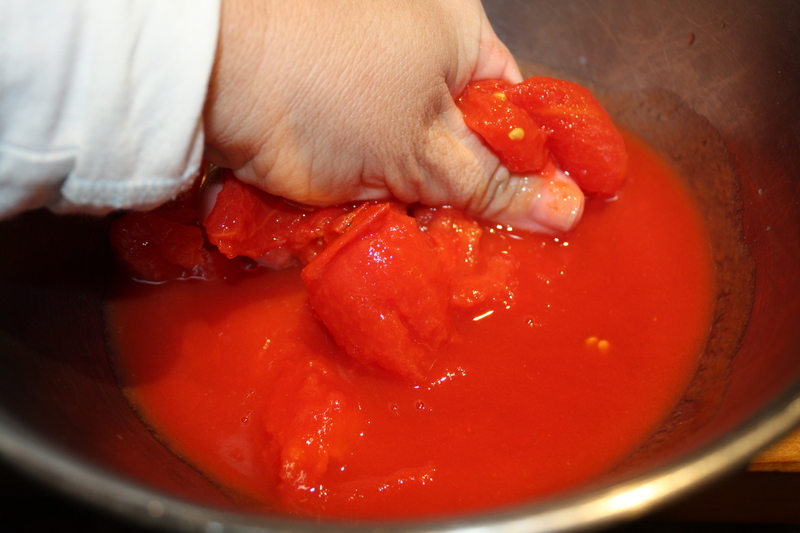 I like the sauce to be “chunky” so I crush the tomatoes with my hands, but if you want the sauce to be more liquid and uniform you can pureé the tomatoes in a blender before adding to the sauce pan. With “chunky” sauces like this one or bolognese, I use penne pasta, bucatini or any pasta with texture and/or holes so that the ingredients in the sauce fill them up and you get an explosion of flavor in every bite. 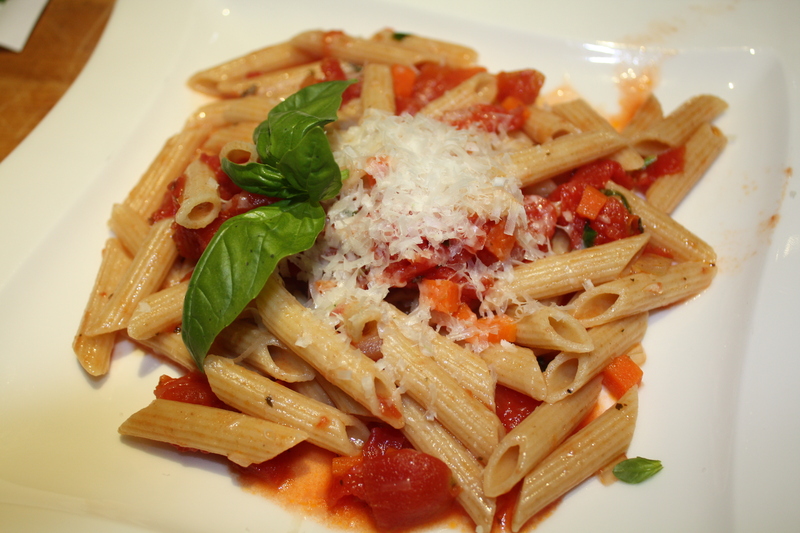 With white or creamy sauces I like to use flat and/or long pasta or filled pasta. These are just suggestions and what I usually do, but nothing is written on stone; you can serve as you like. 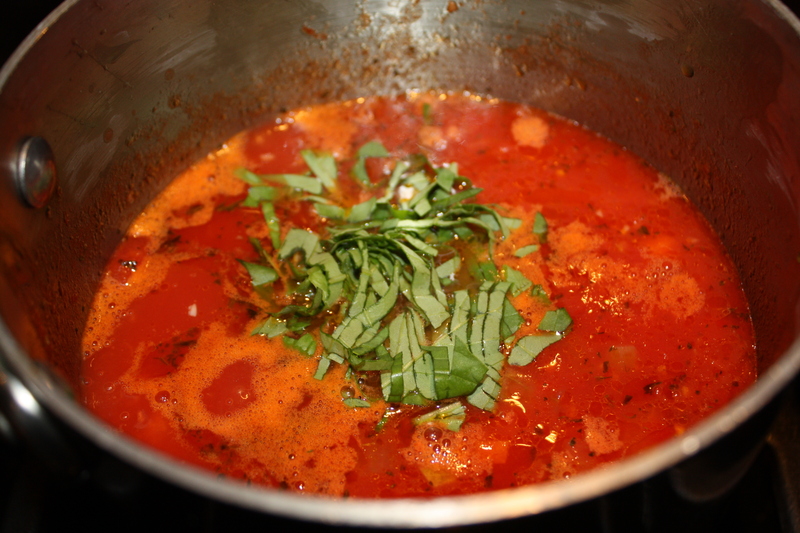 Here is my recipe for Marinara Sauce. Enjoy! This recipe is for about 1 pound of pasta (4 cups of penne) and serves approximately 6 persons. 1. 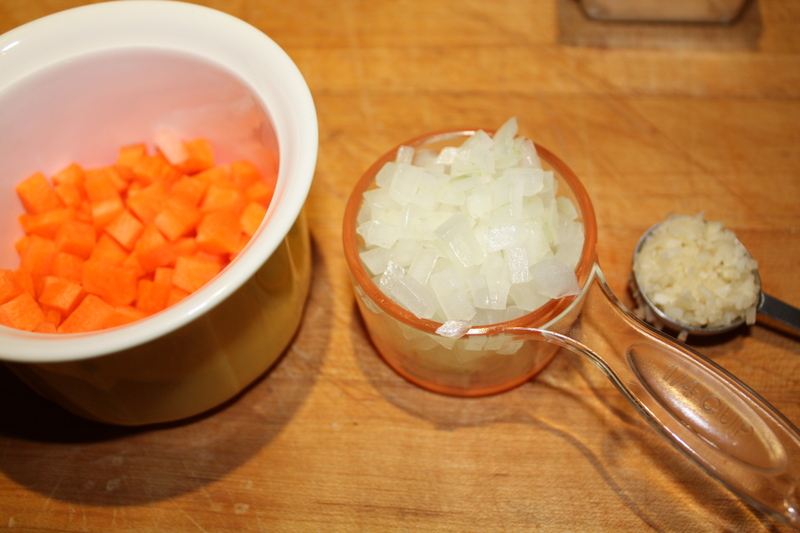 In a medium saucepan, head extra virgin olive oil (med-low) and add onions and carrots. Sauté for about 5 minutes. 2. Add garlic and sauté for about 3 minutes. 3. Add hand crushed tomatoes (or puree tomatoes in a blender if you want the sauce more liquid than chunky), oregano, salt and pepper. Cover and let simmer for about 20 minutes stirring occasionally. 1 finely chopped habanero or jalapeño pepper (optional) CAREFULLY REMOVE SEEDS! 1. Mix all ingredients in a bowl and refrigerate for at least an hour before serving to allow flavors settle or until ready to serve. 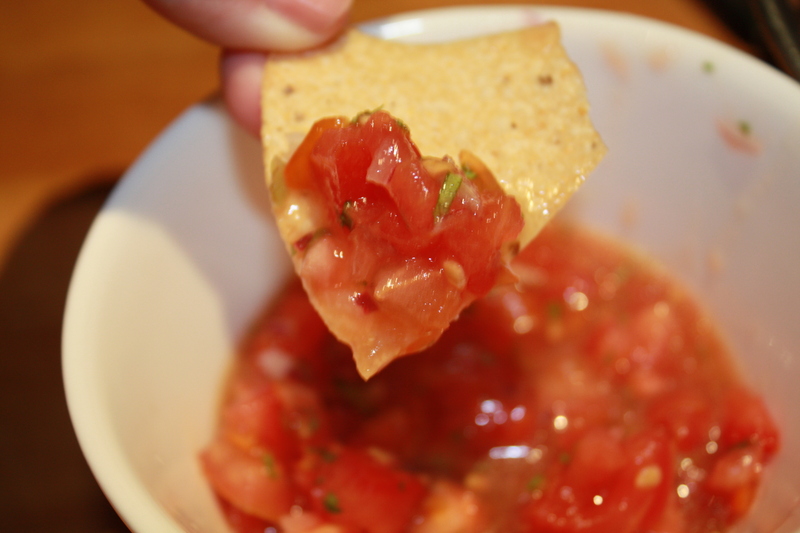 Serve with good quality “totopos” or nacho chips. Makes about 1 1/2 cups.